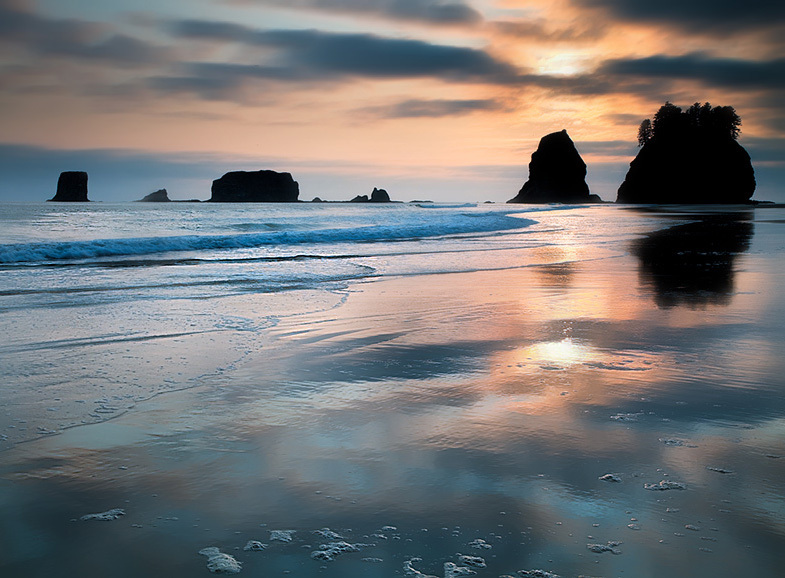 The Olympic Peninsula features some of the most diverse topography in the world. Unfortunately, the weather here is very unpredictable and at many times, unpleasant. About an hour before this photo, the sky was perfectly clear and suddenly these thick clouds descended. Here the patterns of the surf compliment the stark skyline of Second Beach as the contrasting colors of blue and red battle for supremacy in the sky and in the reflected sand and ocean.